Love is... carefully combining his hair over thinning patch. - Love Is (Любовь Это). Оригинальные комиксы "Love Is". 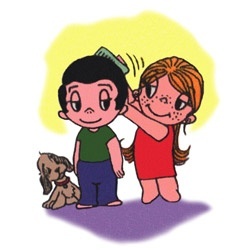 Love is... carefully combining his hair over thinning patch.